Transform your home entertainment experience with our range of sound bars, home cinema systems and soundstages. Choose an audio solution to suit your TV and your lifestyle, with options including everything from the Samsung sound bar with multiroom capabilities and valve amp technology to more pared back sound bars that offer a great virtual surround sound solution on a budget. 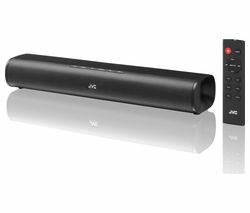 Choose from models with no sub, wired subwoofer or, for the ultimate experience coupled with convenience and flexibility, a wireless sub. 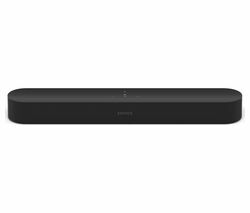 Take advantage of the latest audio technologies with the likes of the Sonos Playbar and Bose surround sound systems, which combine formidable audio with great design. If you have the space, a full home cinema system with Blu-ray player might be right for you. Our soundstages are designed to fit neatly into a smaller space but deliver an enhanced audio experience to help you get more out of your entertainment, and they have plenty of connectivity options so you can hook up all of your media devices. To help you choose the best surround sound system for your home check out our buying guide, or read what our customers think with our Reevoo ratings on our product pages.